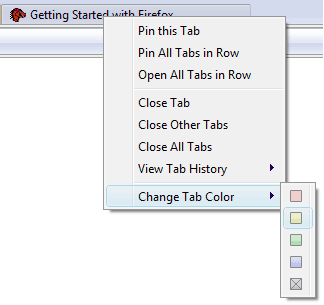 Tabs in Firefox makes browsing real easy. We can play around with tabs in number of ways like hiding full tabs bar with shortcut key. TooManyTabs is an interesting Firefox addon that adds useful feature play to Firefox tabs. It allows multiple tab bars for easy access while lot of tabs are open. You can even assign different color to tabs for quick identification. 1. Supports multiple rows for storing tabs. 2. It can restore up to 20 recently closed tabs. 3. Neatly organize tabs in different colors. 4. Easily view and clear Recently Closed Tabs History. 5. Supports drag & drop of tabs in Firefox browser. Download TooManyTabs addon for more features and play around with number of tabs in Firefox web browser. Open lots of tabs and never get lost in them! When I read the header, I thought it was just another Firefox add on. After reading the complete review I realized this too have its own advantages and uses. Thanks for the review.